Volunteeers painted Milwaukee Roard caboose 992147 when it was acquired in about 2002. Since then, the sun and weather has faded the orange to more of a pink color. In May, volunteers began repainting it and the results are a big improvement. The Milwaukee Road covered the windows with steel plating in an effort to cut costs on maintenance. Volunteers are currently restoring the windows to original configuration. Plans are to give it full Milwaukee Road lettering when complete. Vandalism continues to be a problem for GSRM and its rolling stock stored off site in Montgomery, MN. 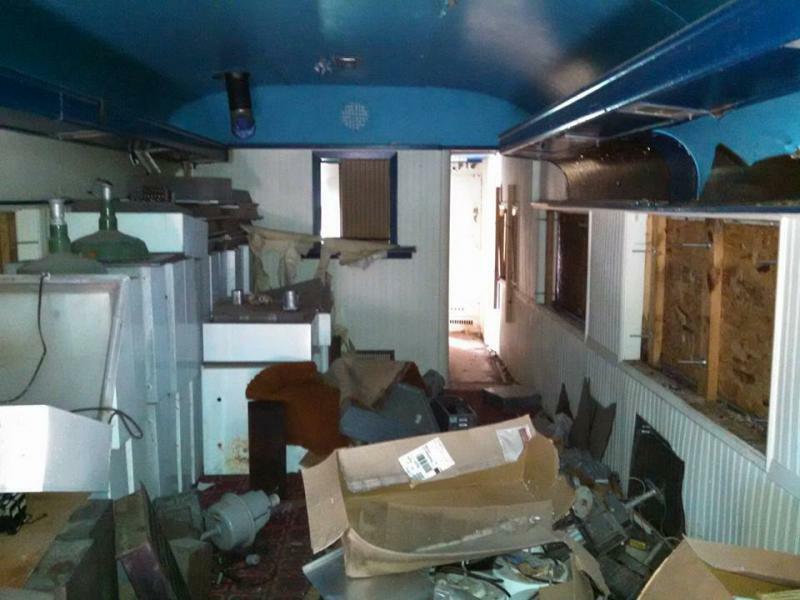 It was discovered in the fall of 2016 that vandals had broken into a locomotive and coach stored on an private industrial siding in Montgomery, MN and were using it as a "hideout" for drinking and other activities. The locomotive cab and women's lounge of the coach was filled with discarded clothes, beer cans and a variety of empty food containers. Volunteers secured the doors and windows posted "No Trespassing, Private Property" signs and cut down tree growth that obscured the rail equipment. Vandals returned, removed all the signs and reentered the locomotive. In February, volunteers cleaned out the cab of the locomotive, resecured it and began welding steel plates over the doors and windows. New "No Trespassing" signs were posted. 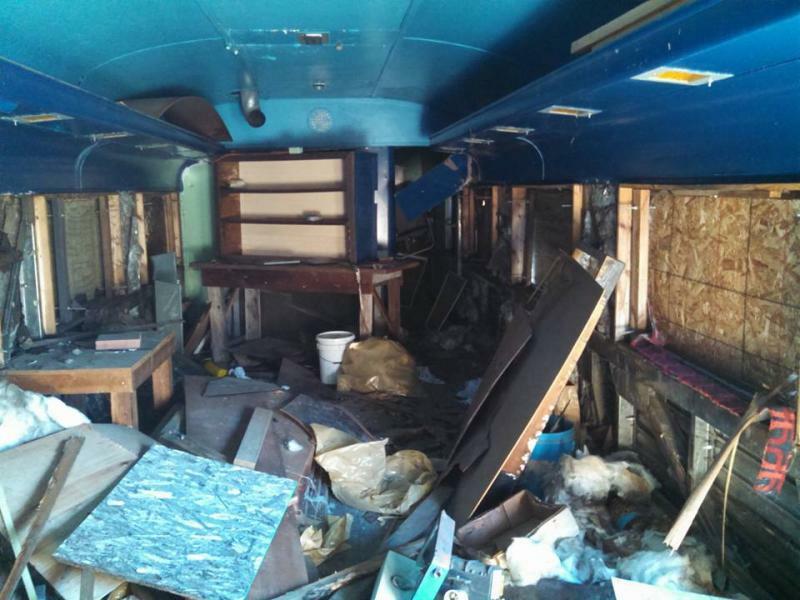 A week later, vandals had again returned, removed the new no trespassing signs and had tried to remove plywood window coverings on the coach. If anything, it's clear the local teenagers are persistent in their effort to make the rail equipment their own, in spite of volunteers best efforts. Volunteers spent Saturday, 25Feb clearing trees from the right-of-way and again, resecuring the windows and doors. New no trespassing signs again went up, but appear to do little to deter would-be vandals. Efforts are underway to raise money to remove the cars from the area. Unfortunately, this is an expensive undertaking and it will be quite some time before the equipment is moved. The siding right-of-way and area surrounding the rail equipment had become heavily overgrown with trees. The trees not only blocked rail access, it obscured the equipment making them easy targets for vandalism, hidden by the overgrowth. Volunteers cleared the last of the trees Saturday 25Feb. Vandals have broken in and trashed the interior of coach CB&Q 4711, Silver Crest. The car was filled with used light fixtures to be reused at GSRM, now the majority are reduced to scrap. Wall panels have been torn off the walls and fiberglass insulation pulled out and strewn on the floor. The destruction and lack of respect for private property is unbelievable.